We expect full moon flooding on the roadways this morning 1/10/2016 and for the next few days. High tide is about 9:30. Use the tide lookup tool to check tide times and water level predictions. 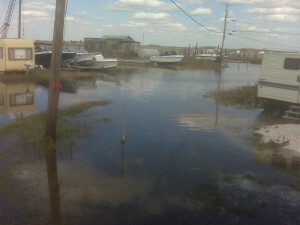 The roadway may be impassable for an hour or two before and after high tide.